Kennesaw, Ga. – McCarty Printing, a privately held and locally owned corporation in Erie, Pennsylvania, is expanding capacity with their new Speedmaster CX 75-5+L with UV from Heidelberg. The new press alongside their new Heidelberg Easymatrix 106 CS is supporting the growth of the company’s development in the packaging market. The Speedmaster CX 75 closes the gap between the Speedmaster SX 74 and XL 75 by offering high flexibility and efficiency without the expense of a large number of added features. Printing at speeds up to 15,000 sheets an hour, the Speedmaster CX 75 can process substrates ranging from lightweight paper to rigid cardboard because of the double-diameter impression cylinders on the press. 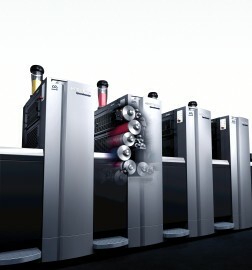 Built with an impressively compact design, the Speedmaster CX 75 is the narrowest press offered by Heidelberg in the half size market. With UV printing, no drying time is needed, which means that the sheets can go straight onto McCarty Printing’s Easymatrix 106 CS without wait times – resulting in shorter delivery times for the company. Installed in April 2018, the Easymatrix 106 CS replaced an older diecutter to better serve the packaging market. Since it was such a large change, Sieber was concerned that it would be a long training period for employees but was pleased to find out that the diecutter was extremely user-friendly. Processing boards as thick as 78 pt. and up to 29.4” x 41.7” format at speeds up to 7,700 sheets per hour, the Easymatrix 106 CS increased McCarty Printing’s diecutting production output significantly. 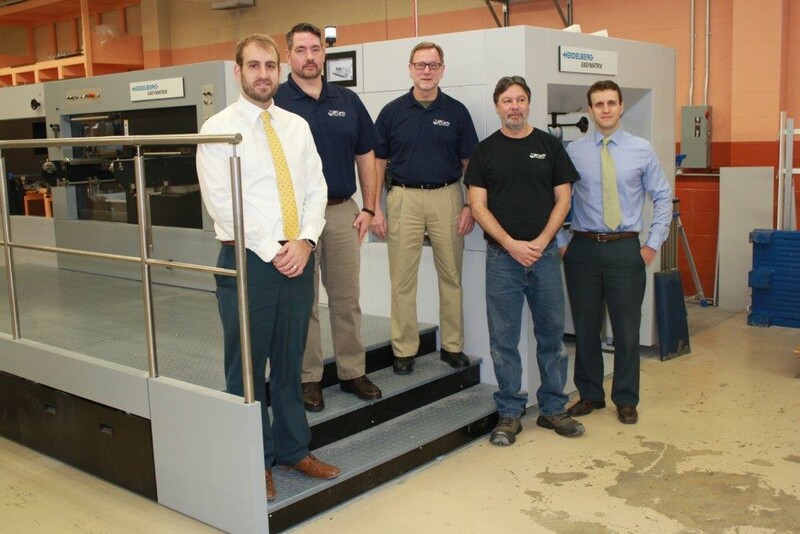 Not only is the Speedmaster working with the Easymatrix and Prinect to increase productivity, but McCarty Printing also plans on upgrading their usage of Saphira Consumables to keep the press at peak performance. After a long history with Heidelberg, McCarty Printing puts their trust in its technology, machines, and consumables because of their consistent reliability. And if there is ever an issue with the equipment, McCarty Printing can confidently say that they will receive the help they need from Heidelberg’s SystemService, which has the largest service coverage in the industry. McCarty Printing Corporation is one of the oldest and most established members of the printing industry in Northwest Pennsylvania. Since 1916, McCarty Printing has grown rapidly, in terms of accounts, employees, manufacturing space and equipment. Through constant investment in the latest technology, McCarty ranks among the most advanced production plants in our field. The company’s combination of highly dedicated craftsmen and cutting edge technology enables McCarty to offer the highest quality printed products at a very competitive pricing.